This is Hull No. 1 of Marlow’s new 66 model. This light green-hulled yacht—aptly named Sea Foam—is a command-bridge yacht with plenty of space for relaxing on long cruises. 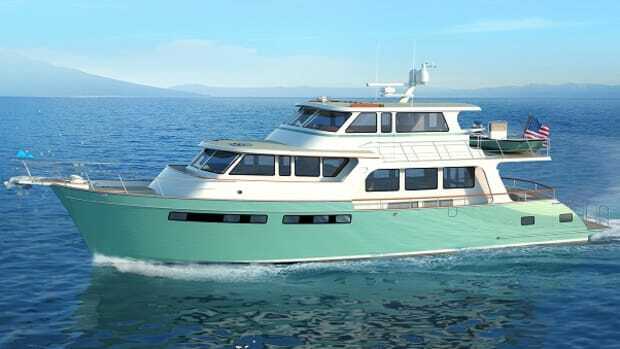 Moving the helm to the upper deck, where guests can also lounge on a comfortable L-shaped bench seat, opens up the main deck for several design options.